Please visit our new and improved store here to see our full range of stunning stationery! These pens are such fun! 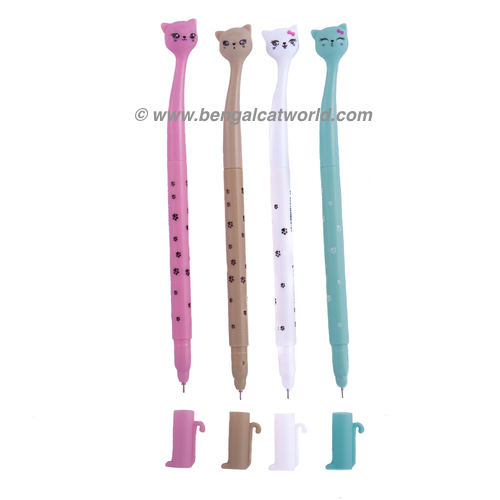 They feature a sweet kitty face at the top, with paw prints on the spine of the pen right down to the little tail and foot at the end! As well as looking wonderful, they're lovely to write with too - having a fine nib! From top to tail they measure 17.5cm (approx 6.8 inches).